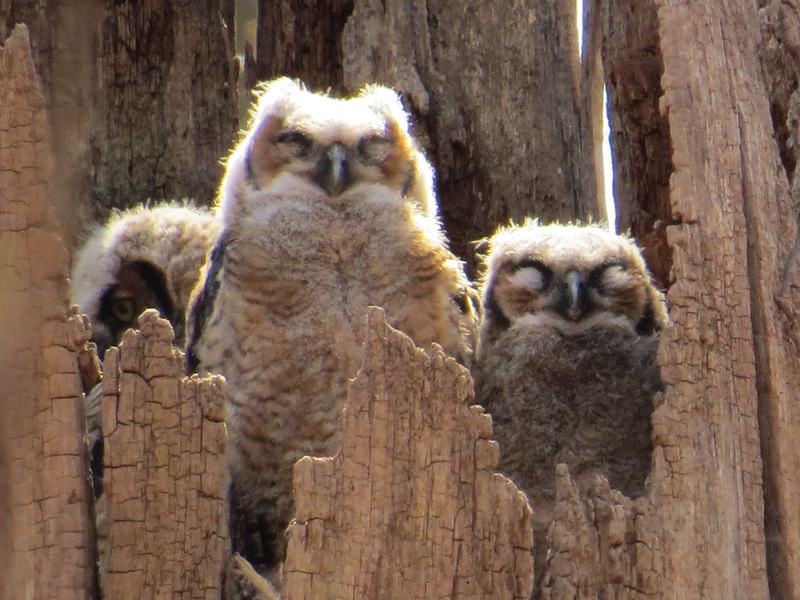 Great Horned Owls (Bubo virginianus). 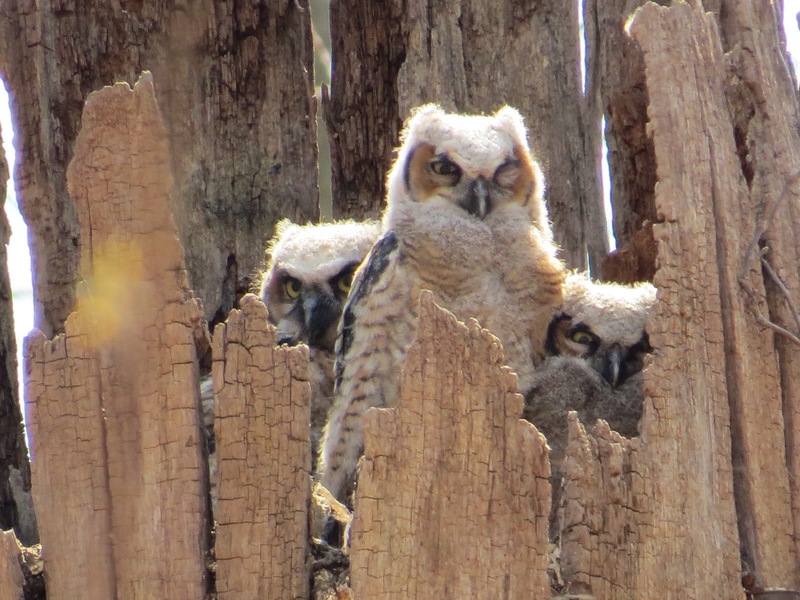 GHO are said to have the greatest diversity of prey of any raptor, diurnal or nocturnal. Mammals, mostly, but also birds, including other raptors. They will also eat insects, reptiles, fish, and carrion. And you know these Muppets are ravenous. By the way, is that down on their eyelids? Meanwhile, in a rather less traditional nest location. 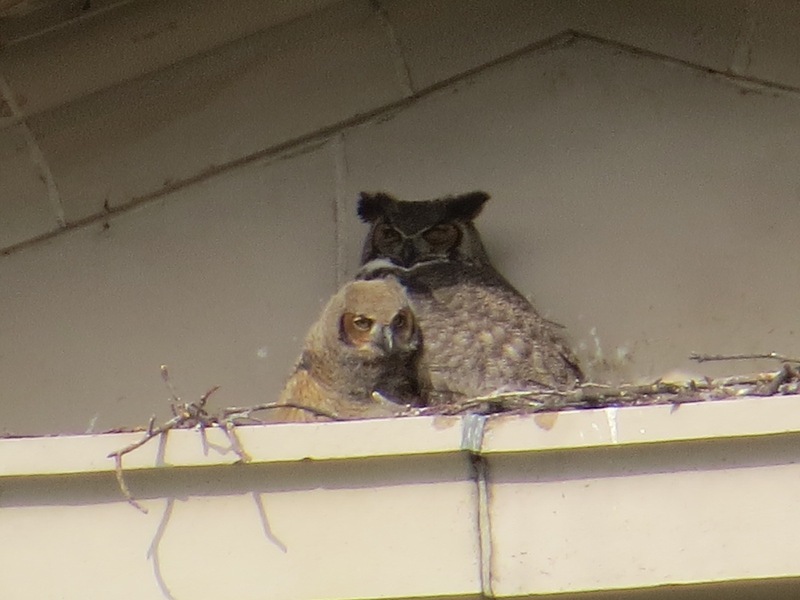 There were actually two owlets here, but the older had jumped the pediment some time last week. We didn’t see it on its ledge on this viewing, but I’ve since been informed that it’s ok. 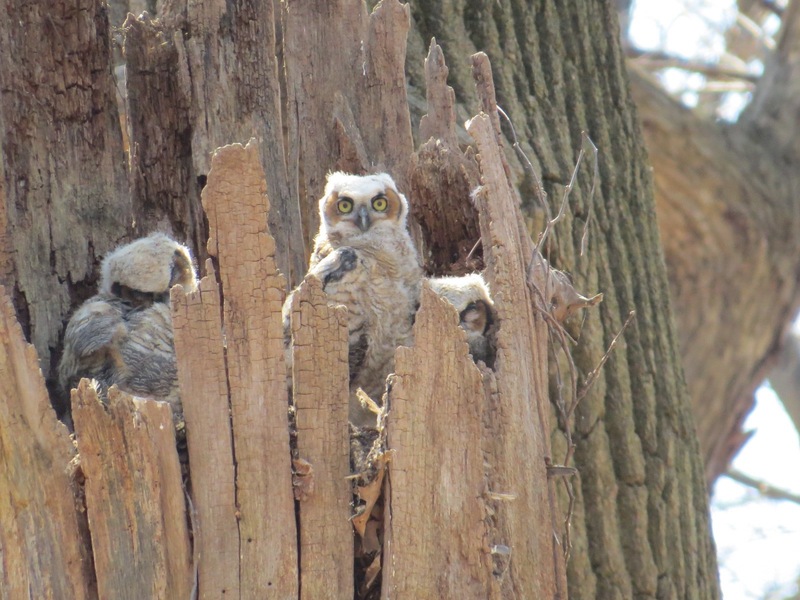 In fact, it had fledged and was hanging out in a nearby tree. Well, nearby if you can fly. 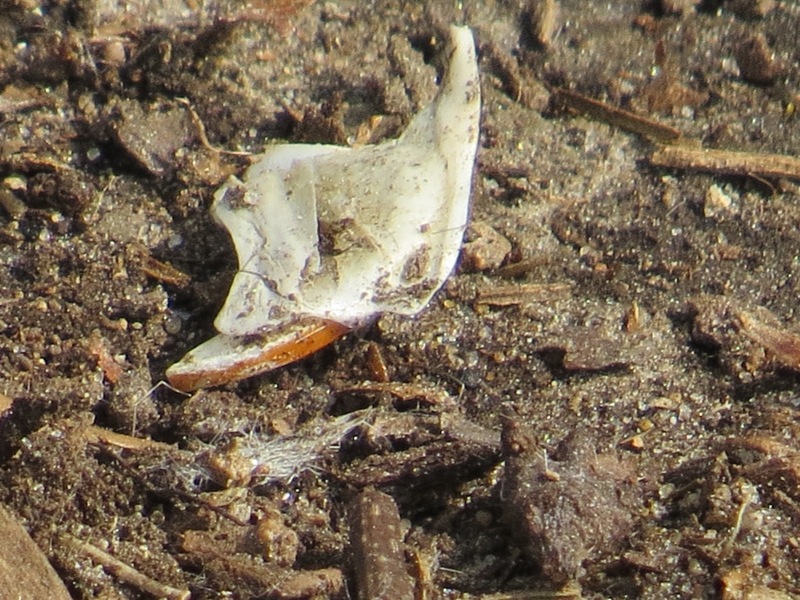 Rodent tooth, ejecta of an owl.